The next congressional elections is the highly anticipated Midterm elections, which will be happening on 6 November 2018. As much as this topic has been a highly discussed about topic over the past few months, do you know exactly what this Midterm election is? How will it impact the US’ political system, and possibly the stock market? What is US Midterm Elections? Midterm elections are the federal elections in which voters choose members of Congress but not a new president. “Midterms” are held halfway between presidential elections. Voters elect one-third of all U.S. senators and all 435 members of the U.S. House of Representatives during the midterms. Midterms determines which political party— which in this case refers to the Democrats or Republicans — will control each chamber of Congress for the next two years. The party in control of either chamber is the party more likely to get its proposed legislation passed in that chamber. Proposed legislation must pass in both the House and the Senate for it to reach the President’s desk for approval. A tax reduction will increase the purchasing power of the middle-income families, which in turn will further stimulate the economy as they will have more capacity to spend. 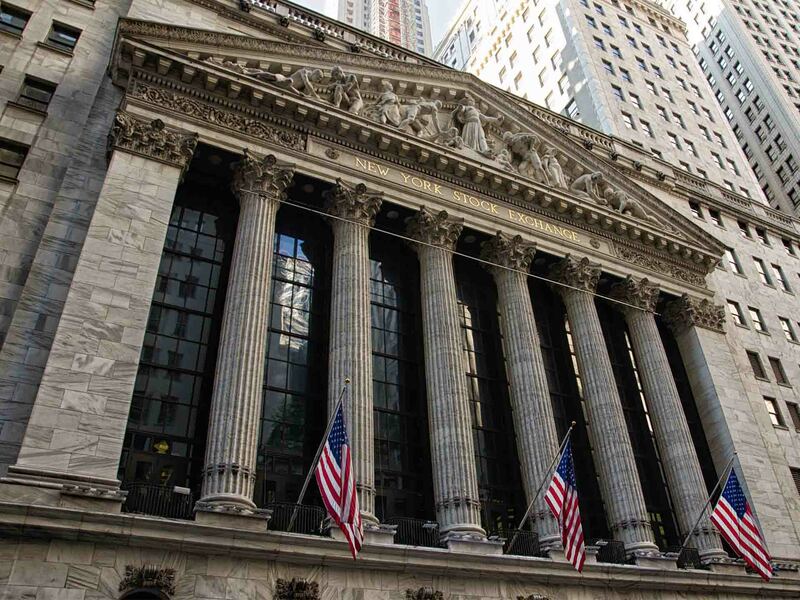 With the expected increase in consumer confidence and spending, potentially higher GDP and record low unemployment rate, the consumer discretionary sector is expected to reap the benefit. Consumer discretionary is the term given to goods and services that are considered non-essential by consumers, but desirable if their available income is sufficient to purchase them. Consumer discretionary goods include items like durable goods, apparels, entertainment and leisure, and automobiles. The automobile industry has been on a downtrend for the past few months due to the concern over the trade war and implementation of tariffs on auto parts and vehicles. 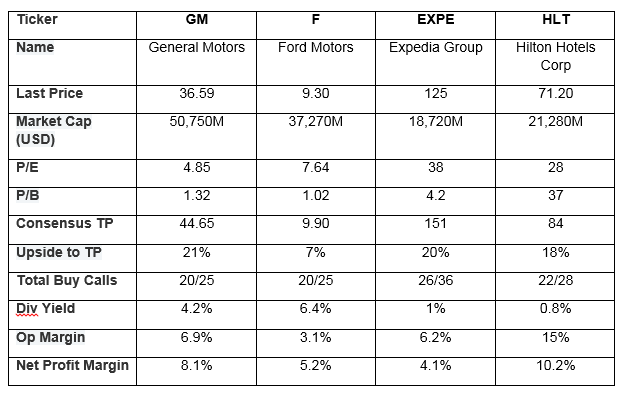 Many of these automobiles companies including the likes of General Motors and Ford are currently trading below valuation. GM is currently trading at a relatively low valuation with P/E ratio of 5.0 and a 4.2% dividend yield. This, coupled with the ever improving US economic condition, makes GM appear like a value buy. Ford’s share price jumped by 9.9% on Oct 25 after issuing its third quarter earnings reports. The automobile company also announced plans to drive $25.5b with regards to efficiencies related to material costs, products engineering, manufacturing and marketing. Ford is currently trading at a P/E ratio of 7.8 with a 6% dividend yield. With the release of new car models and the benefits already reaped from the recent corporate restructuring, we should expect results to improve for the company. When consumer discretionary spending is up, so does the travel and tourism industry. Booking sites, hotels, airlines and cruise industries are set to continue to benefit from the increase in US consumer spending as well as the booming China middle class. Expedia Group is the world’s leading travel platform, with an extensive brand portfolio that includes renowned online travel websites such as Hotels.com, Orbitz, Trivago and HomeAway. Booking sites like Expedia has boomed in recent years thanks to tech-savvy and cost awareness among consumers. The company recently recorded its best performing month in July, with historical performance up an average of 9.72%. Its gross profit margin stands at 74.69%, compared to the sector’s average of 33.79%. Given the strong financial metrics of the company, the company’s stock is a good opportunity for investors who are looking for something from the consumer discretionary sector. Hilton Worldwide Holdings Inc is a hospitality company that owns, leases, manages, develops, and franchises hotels and resorts. It operates through two segments, Management and Franchise; and Ownership. The company engages in direct hotel management and licensing of its brands to franchisees. It operates a myriad of hotel and resorts like Waldorf Astoria Hotels & Resorts, Conrad Hotels & Resorts, Canopy by Hilton, Hilton Hotels & Resorts and Hilton Garden Inn. With the increase in consumer spending, change in consumer behaviour in which millennials are traveling more often and the rise of the China middle income group, it has led to improvement in Hilton’s occupancy rates. The group’s margin has also been growing due to the continuous growth of its international operations and efficiency. For investors looking to diversify their portfolio with a stock from the consumer discretionary sector, Hilton Hotels is a good opportunity at this point due to the recent stock price pullback. Allan joined Phillip Securities in 2013 as an Equity Dealer in the Global Markets Team. He specialises in the US, UK, European & Canadian markets. US Market Outlook: What if the Republicans Carry on Holding the Fort?